A spa range designed with the tallest to the shortest person in mind, with no compromise in comfort or therapeutic benefit. Cyclone Spas have turned this into a reality. Premium quality at an affordable price has been the focus with the Cyclone Range of portable and outdoor spas. Australia's largest spa manufacturer has the buying power to obtain the best prices on innovatively designed quality components. Cyclone Spas use specially formulated acrylic sheet which is moulded into smooth contours and flowing curves. Cyclone Spas are precision-engineered for quiet operation. The pumps are acoustically insulated and are isolated from the inner spa shell for even greater noise reduction and heat insulation. 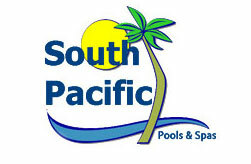 South Pacific Pools and Spas Geelong provide install, repairs and maintenance to the complete range of Cyclone Spas.